Jack Neima (right), Regional Operating Officer for RBC, helps empty a bag of rice Thursday at Winnipeg Harvest at 1091 Winnipeg Avenue. 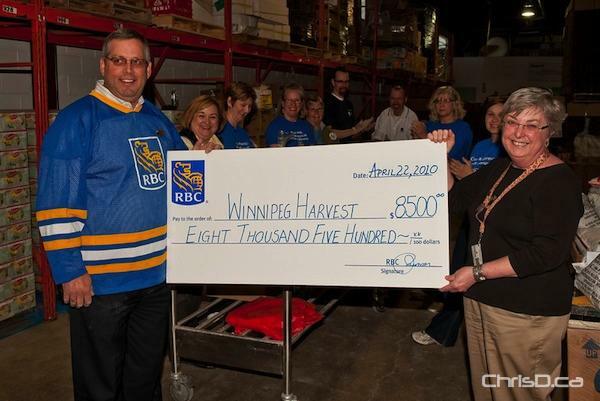 RBC staff volunteered their time at the food bank and made a generous donation to the “Kids Who Care” program. RBC’s assistance is part of the new Team Service Grant employee initiative to help out in the community.